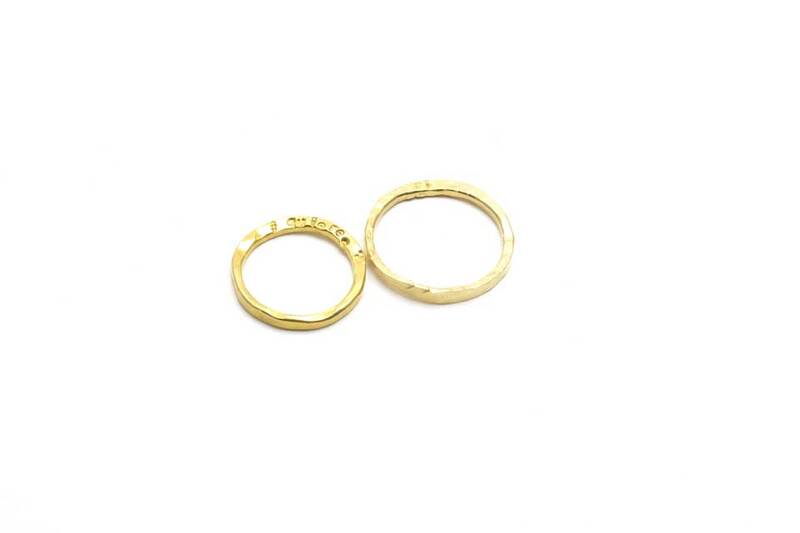 Hand forged 24K gold adds an extraordinary rugged beauty to these unconventional wedding rings. 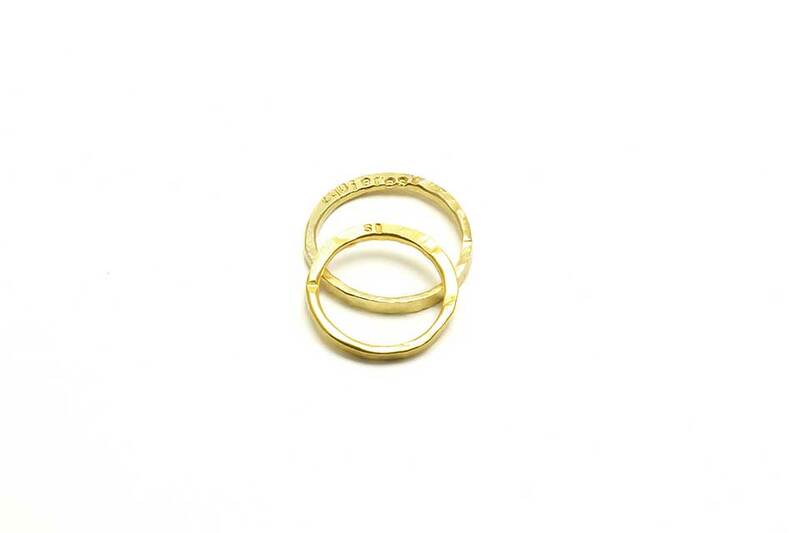 Each ring has been stamped question ‘¿Quieres?’ (Spanish for ‘Do you want?’) on one side and with the answer ‘Sí’ (Spanish for ‘Yes’) on the other. Why to say your ‘I do’s’ once when you can say it every day? 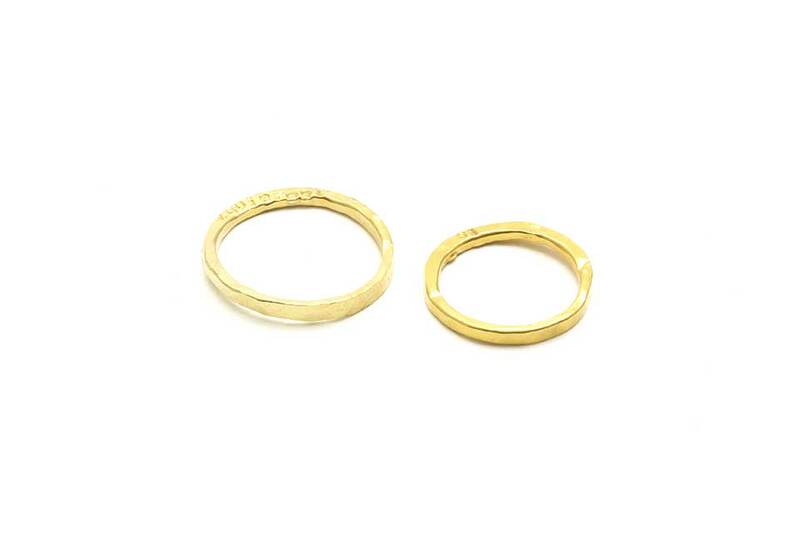 Rings are slim, making them ideal for stacking with other rings.